My Kylee bug is 4 years old & a little firecracker! 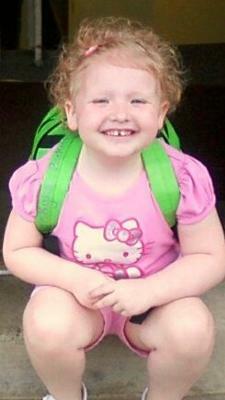 Her curly red hair, little freckled nose & big blue eyes make her one of the most beautiful children I've ever seen. She's smart as a whip & loves singing, drawing & playing with her little sister! She's a doll!